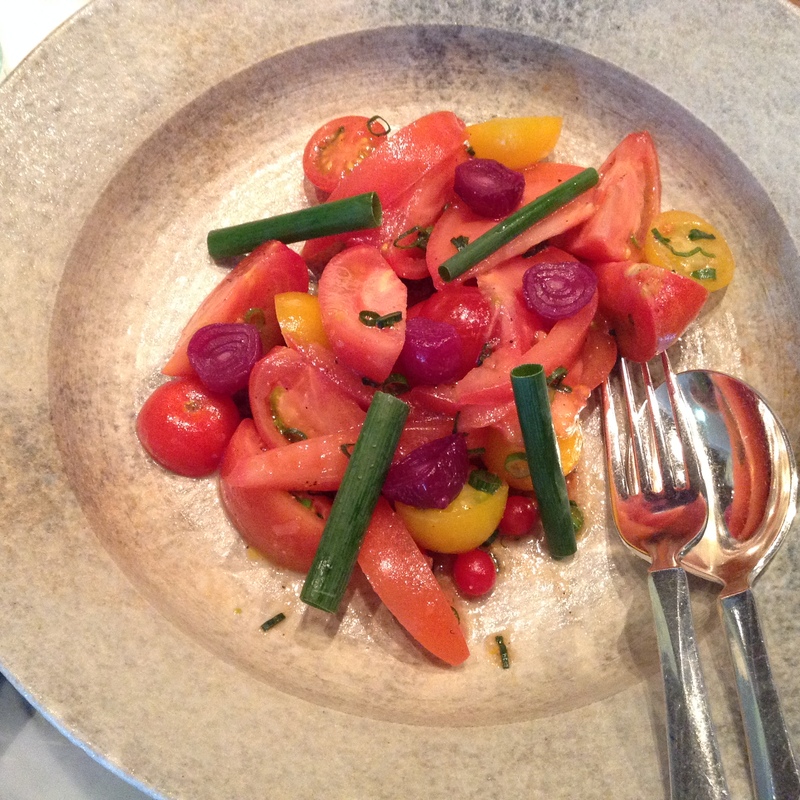 A colorful meal based on Japanese pickles is refreshing and light. Nishiri is a famous pickle shop based in Kyoto. My favorite meal here is the pickle sushi, made with pickles on top of the rice instead of raw fish. Here are two other set meals composed of pickles including eggplant, daikon stuffed with lemon, turnip stuffed with salmon, and much more. Strict vegetarians should advise the staff that they do not eat fish or meat. 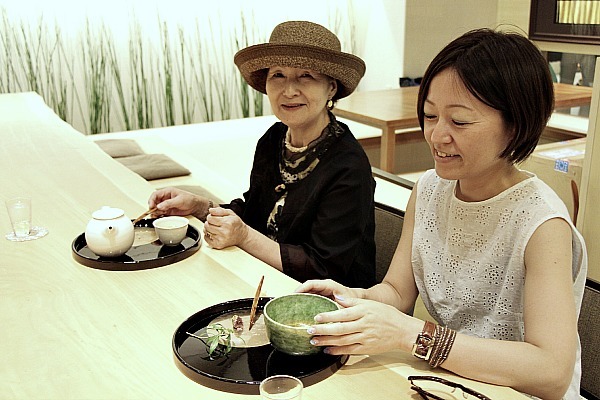 The miso soup here is made with kombu dashi and a sweet white miso, Saikyo miso, from Kyoto. I come to Nishiri when I want some nutrition and the variety of textures and flavors that come with simply fermented vegetables. This shop in Tokyo has a small cafe inside the retail shop, so if you like any pickles, you can buy them to bring home. One of my favorite simple breakfasts in Tokyo is this carrot sandwich at Nihonbashi Bon Coeur. Julienned carrots simply presented between two slices of pain de mie, with a schmear of mayonnaise. The orange haystack is so big that it’s hard to keep contained while eating. There may be butter, or not, I don’t remember and I don’t care, because it is so good. Bon Coeur is a Japanese bakery on the Chuo Dori of Nihonbashi, very close to the Mandarin Oriental Hotel. I often pick up clients a the MO and will stop by here for breakfast. There is also a free cup of coffee in the early morning, I believe from 7:30 – 9:00 a.m. There are a few small tables in front of the shop, if the weather is good. There is also a counter inside. Most of the customers work in the neighborhood and are regulars. The breads here are they typical Japanese oyatsu pan or snack breads, made with ingredients like hot dog, cheese, croquettes, yakisoba, and burdock root. Some unusual breads that they do here will include chili con carne or macaroni. 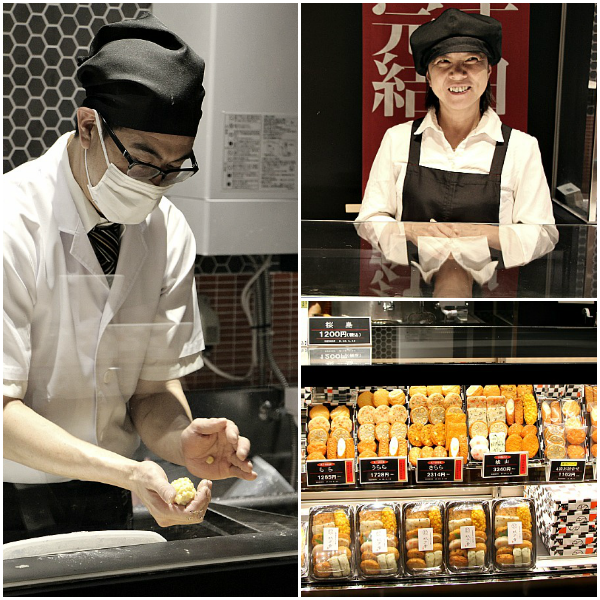 You’ll also find Japanese classic breads like melon pan and French classics like pain au chocolat. In Japan fruit shops and cafés are a great spot for trying blemish-free and perfectly ripened fruit. One thing to put on your radar are morning sets at these cafés. A breakfast of fruit in Japan will feature seasonal fruit and confiture. Gela C in Nihonbashi Muromachi Coredo building has a bargain breakfast for 500 JPY. Toast, three confiture, yogurt topped with fruit, and coffee. The shop opens at 9 a.m. On this day the confiture was kiwi, black grape, and lemon and honey. Gela C’s parent company, Tokio, is a fruit shop based in Fukuoka. This shop in the historic Nihonbashi district, near Mitsukoshimae station, has a wide selection of fruit gelato and cut fruit. The shop was quiet on this weekday morning. My friend James always reminded me to “eat more fruit”. We never get enough fruit, do we? It’s hard in Japan as fruit is very expensive. So this value-priced breakfast is a royal treat. It all started a little over a year ago. An email from a producer in New York City wanting to know if we would help with the filming of a new food show for PBS. 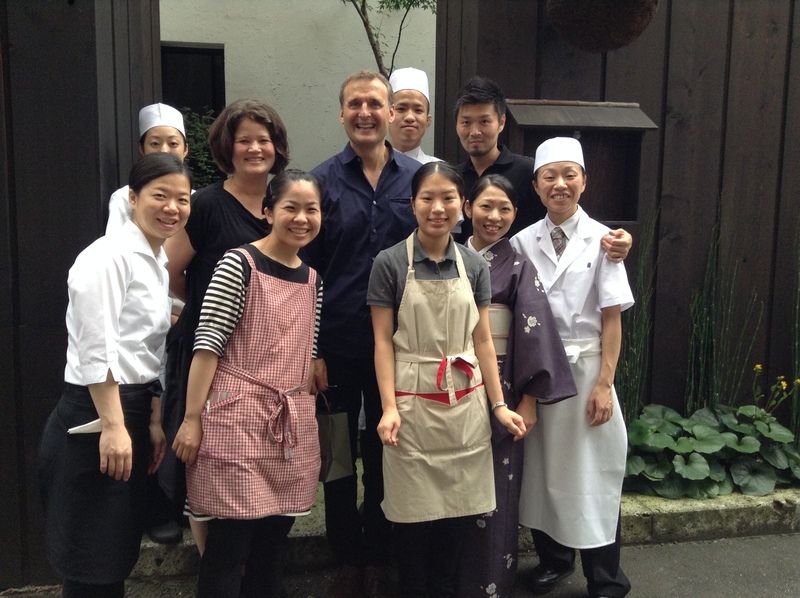 The program would travel around the world with Phil Rosenthal. 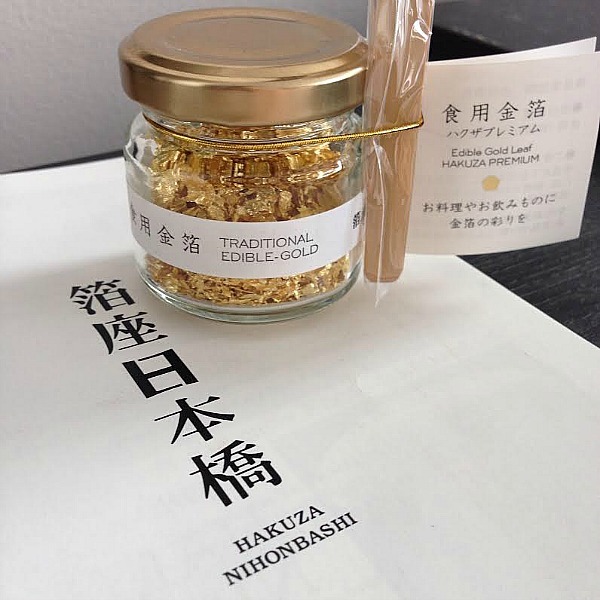 I was more than happy to help and was lucky to film at Nihonbashi Takashimaya as I had worked there about ten years ago in the sake department. It was fun to see many colleagues still there, and to share with Phil the secret rooftop that so few people, even Japanese, know about. I was happier than a kid on Halloween when I found out we would be filming at my favorite restaurant in Tokyo, chef Zaiyu Hasegawa’s Den. It is one of those spots that is hard to get into, so filming there would be a very special treat. The restaurant would open up for just us before service. 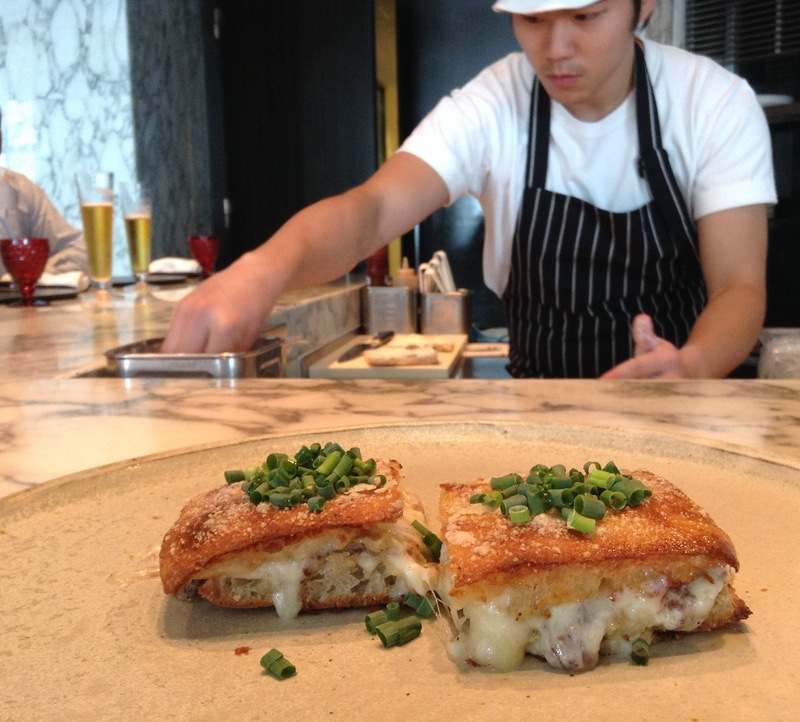 The program does a brilliant job of capturing chef Hasegawa’s personality and the cuisine. He was so kind to fry up some Dentucky Fried Chicken for the crew after filming was done. Then came the tough decision, to ask Phil into our home for dinner or not. Until now we have kept our son’s photo off of social media. Opening up our apartment for the world to see was not as much of a concern as was including our kid. I thought that even if our son was filmed, it would only be in the periphery. You’ll have to watch the video to see his cameo. I was happy to see that Phil also made it to two other special restaurants, Narisawa and Kyubey. Also places that should not be missed, if you can get in. I don’t know for how long it will be online, so watch it while you can. It is an hour-long show. We appear at 14:15, 33:30, and 43:15, but please, see the whole show. 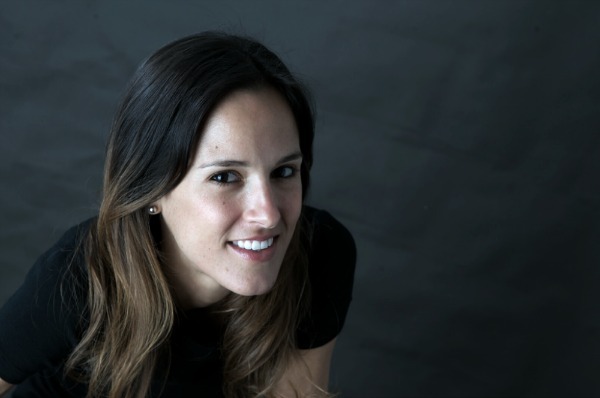 We’ve already heard from new clients saying that they are inspired to come to Tokyo. That is Phil’s goal with this program, and how awesome to see it come true. We had a blast with Phil and his team and are honored to be included. 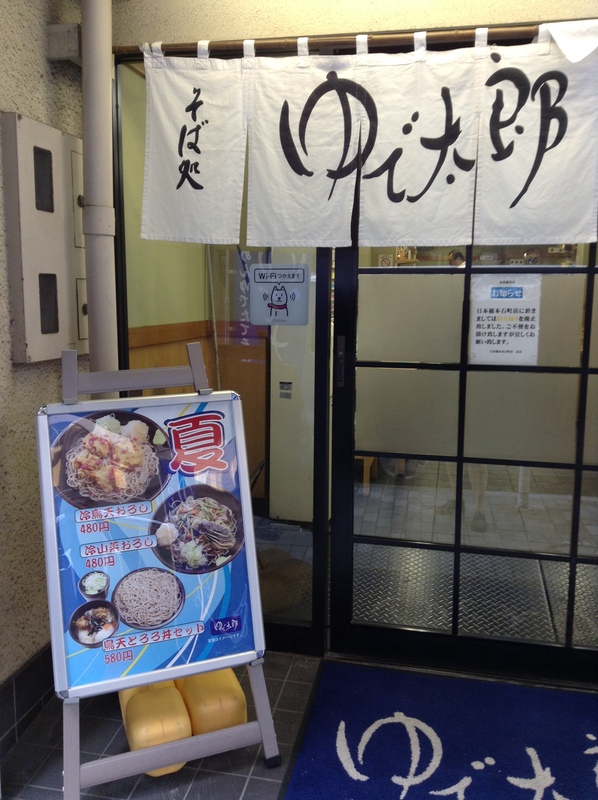 For the longest time I avoided the tachigui soba shops and other casual dining soba restaurants. Tachigui are restaurants without chairs. Diners order a bowl of noodles and stand and slurp quickly. Tachigui can be near train stations or even on the platforms. When I first lived in Japan in the late 80s I wouldn’t even part the curtains to go in. But times have changed and if I need a quick meal I seek out these spots. Especially early in the mornings before I take clients to Tsukiji Market. In Nihonbashi on the back streets behind the Mandarin Oriental is a chain called Yudetaro. Taro is a popular boy’s name and it can also be part of a boy’s name like Kentaro. To boil in Japanese is yuderu, so the name Yudetaro is a fun name. Yudetaro is found throughout Japan, so it is a good spot to look for while traveling. Seasonality is important in Japanese cuisine, even at fast food restaurants. The summer menu at Yudetaro caught my eye with tempura eggplant. I included some sansai, mountain vegetables like nameko mushrooms and ferns and also topped the bowl off with tenkasu. If you don’t know tenkasu, you are missing out. 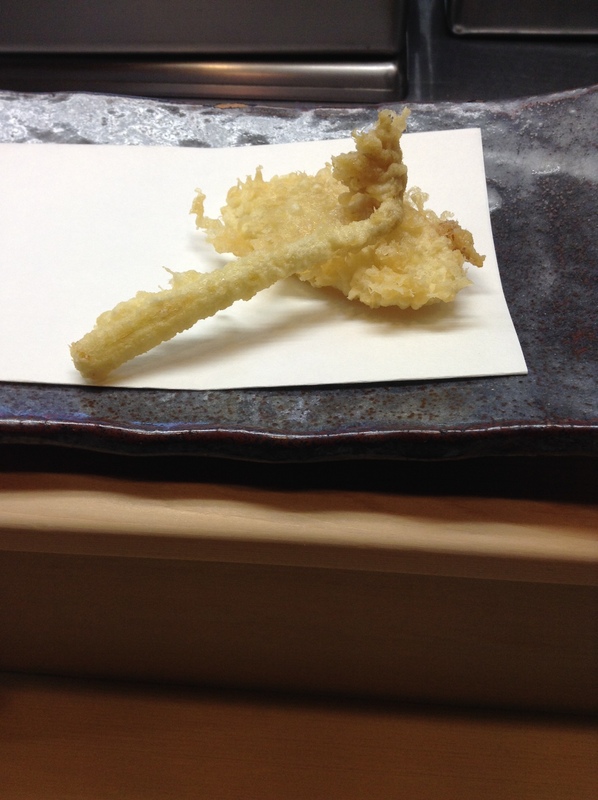 Tenkasu are the bits of tempura that fall off of the items you are deep-frying. 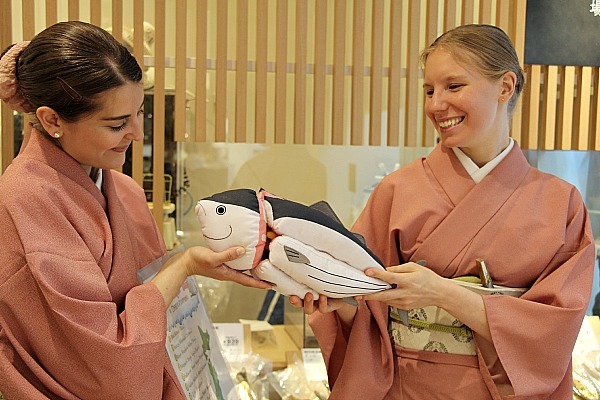 At some tempura restaurants bags of tenkasu are given to diners. I take this home for soba, udon, or even as a crouton substitute for salads. Yudetaro has chairs and tables. There is a vending machine so diners need to be able to figure out which buttons to push. If you are in luck there will be some plastic food samples in the front window or a menu with some photos. If not, do Russian Roulette with your meal, which some of our clients tell us they have done. If the staff are not too busy, someone may help you figure out what to order. When in doubt, ask them for their osusume, recommendation. The breakfast menu is a bargain, starting at around 330 JPY and not going over 400 JPY. Lunch is usually only 500 – 600 JPY. There are plenty of optional toppings if you are hungry. Amazing when you consider this is cheaper than McDonald’s and better for you. The specialty of the Pizza Bar on 38th. Marscapone, black olives, and truffle essence. This is so rich in umami and impressive. The first time I had this I woke up the next day thinking of it. Even a week later it haunts you, in a good way. The pizza here is Roma-style. The crust is 80% water and is fermented for 48 hours. It is light and airy. 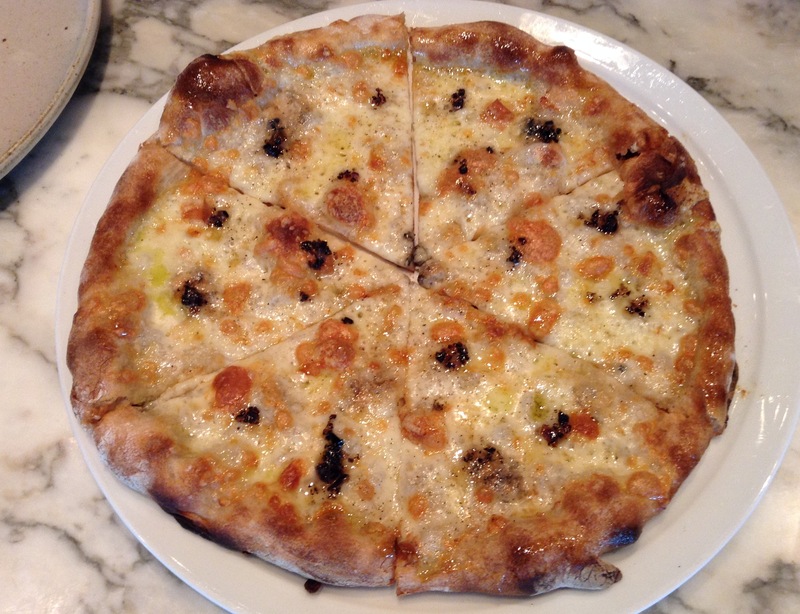 The five cheese pizza is topped with truffle honey. The wine list includes a nice selection of Italian wines that naturally pair well with the cuisine. 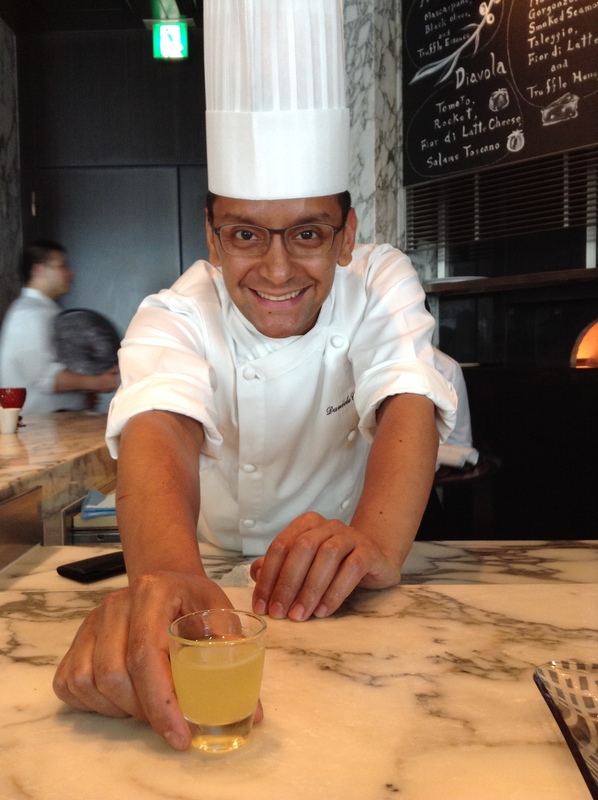 Chef Daniele serving up a glass of “konatsu-cello” made from the tart summer citron, konatsu that is steeped in vodka with star anise and cloves. A perfect combination of Japanese ingredients with a traditional Italian drink. It is chef Daniele who came up with the recipe for the pizza dough after doing research back home in Italia. Grazie, chef! The Mandarin Oriental in Tokyo’s historic Nihonbashi district is host to one of the hottest culinary events, NOMA Japan, in early 2015. 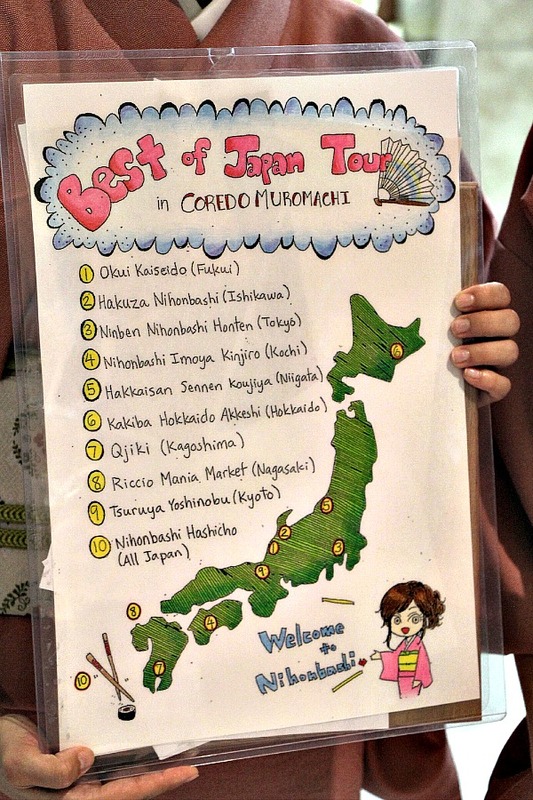 The culinary program at Japanese hotels are quite strong, and the Mandarin Oriental is an example of this. Take a look at some of the small bites served at the Mandarin Bar. 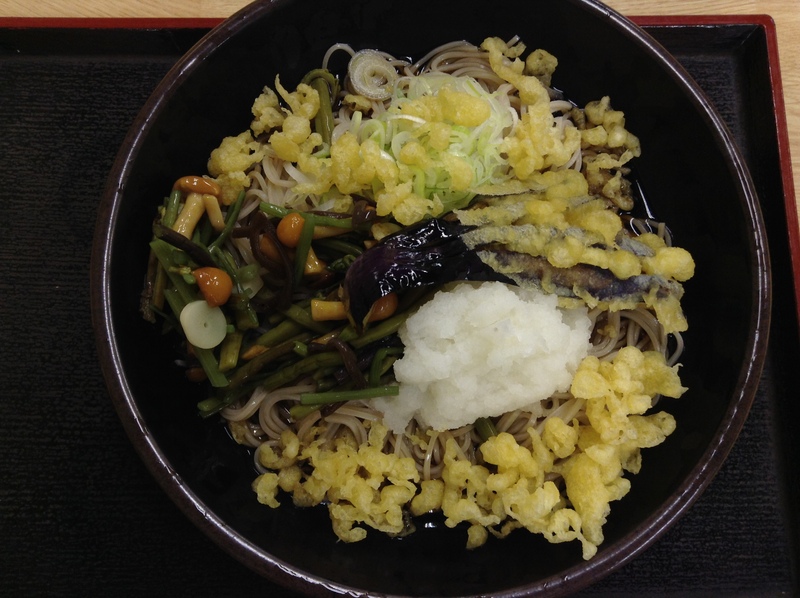 Currently on the menu are regional foods from Nagano prefecture, northwest of Tokyo, a mountainous area that we love to escape to for fresh air, blue skies, soba, and saké. 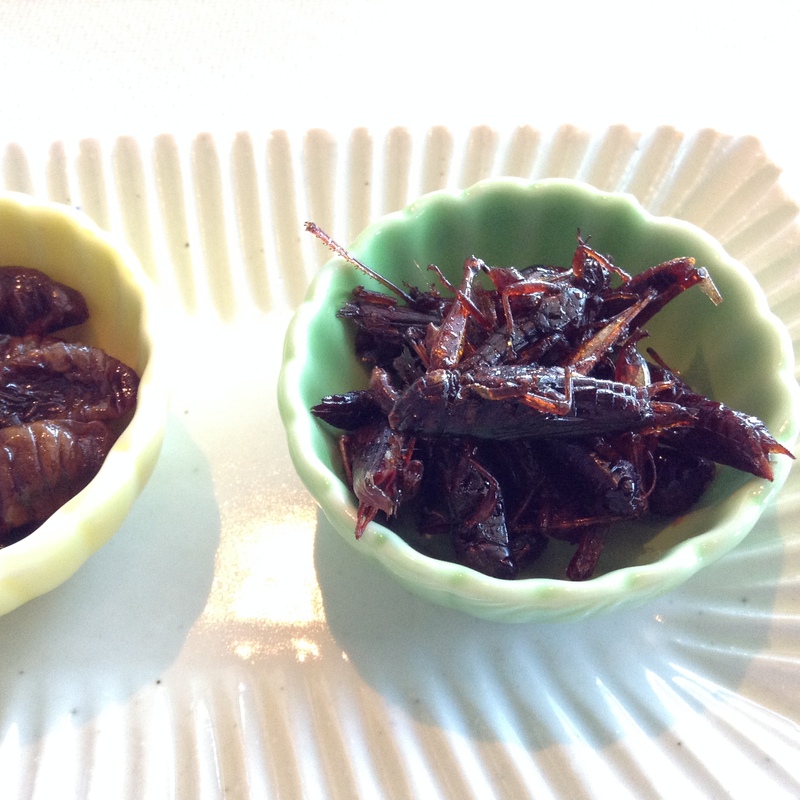 I was so curious to see an Edible Insect Tasting Platter on the Snack Menu. I thought that maybe the bar menu was influenced by the NOMA team as they are famous for serving ants. I was recently served ants at Den in Jimbocho and of course it is being found on more menus around the world. I was told that one of the chefs on staff wants to feature more regional cuisine and this is an example of just that. 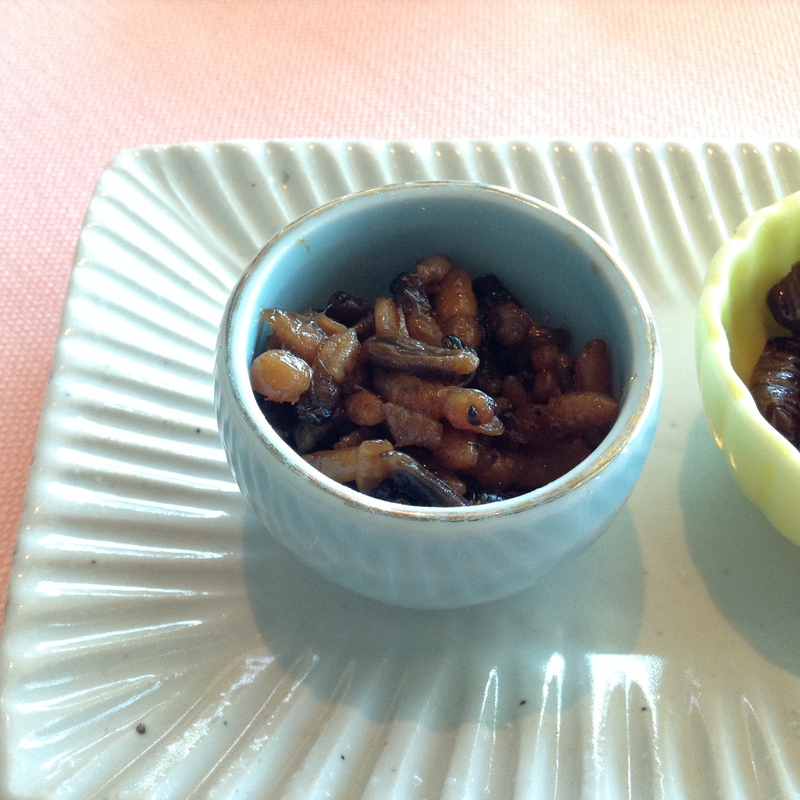 There are three types of insects on the tasting platter, and I have tried the locusts 25 years ago as it is also found in Yamagata where my family is from, so I thought it would be a piece of cake. I was not as brave as I thought I would be. The insects sat on the table for a long time before I could muster the courage the even attempt picking something up. I was advised to start with the bee larva, hachinoko. It was actually good. Better to not even think about what you are eating and just dig in. All of the insects are cooked in a sweet soy broth, so the flavor profiles are quite similar, it’s more about texture, at least it was for me. The baby bees were soft and quite palatable. I would go back for more of these, yes, I would. The silkworms, kaiko no sanagi, were the hardest to try as they looked the most like an insect. If any of you have seen the movie A Bug’s Life you may feel like you are eating your friends. 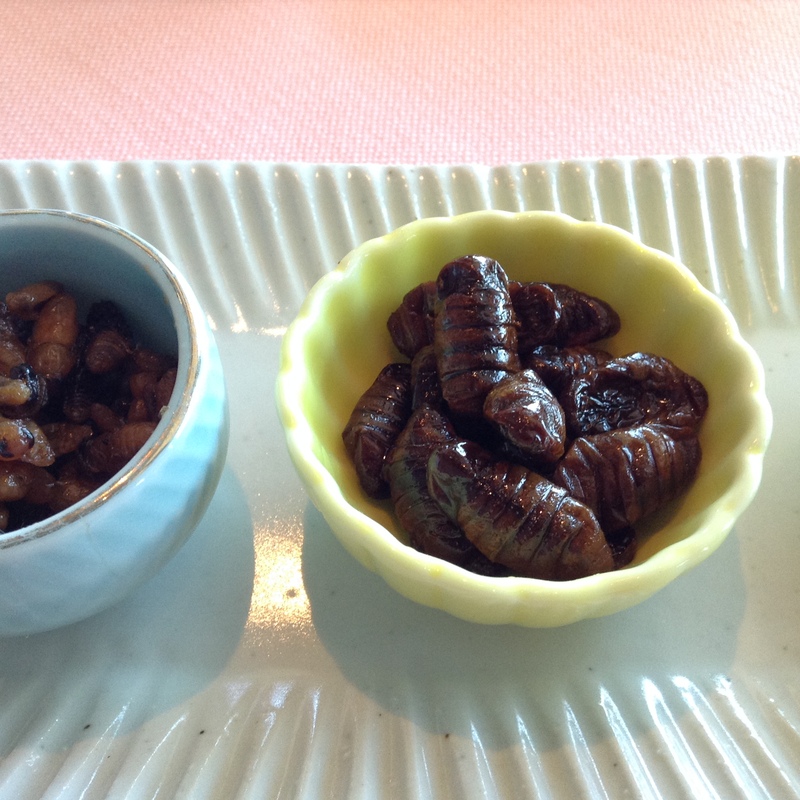 I assumed that the silkworm was going to be crunchy as the outer skin looks hard. These were actually soft, chewy, and not bad. Don’t judge a book by its cover. It was fine and I would eat it again. Locusts, inago, I have had in the past, so I knew I could have it again. Of the three, these are the most recognizable insect. My aunt in Yamagata tells me that when they were kids during the wartime that her siblings would collect these and bring them to school where they would be sold for making this dish. Of the three, this was the hardest to eat, as the locusts do retain a bit of crunchiness. But the sweet soy flavor is appealing. I believe the insect tasting platter will only be on the menu for a little bit longer. I do encourage you, if you are an adventurous eater, to come to the Mandarin Bar and go for it. If you are going to eat insects, then why not do it at a gorgeous bar overlooking Tokyo with stars in the skies. 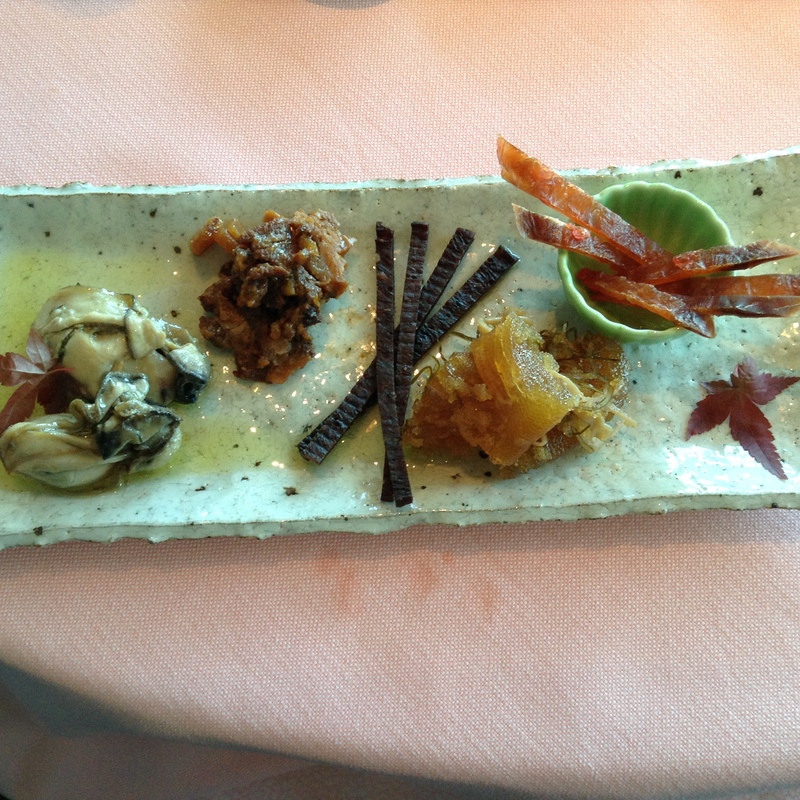 From left to right: Smoked oysters in olive oil, braised bear meat and bamboo shoots, venison jerky, Matsumaezuke of herring roe, dried squid, and kombu, and salmon jerky. I was told that the next featured regional food on the menu will be delicacies from Hokkaido and had a chance to try this as well. Hokkaido is the island at the north of Japan. Surrounded by waters so a rich seafood culture, but also filled with dense woods, so wild animals as well. This is much easier to dive into as everything is recognizable. The smoked oysters are creamy and rich. I was surprised that my favorite of the five was the braised bear meet and bamboo shoots, it is rich in umami. The jerky in the middle is made from venison, something I grew up with in Minnesota. The Matsumaezuke includes kazunoko, herring roe, which is not found in other regional versions of this dish, so very over-the-top. Herring roe is treasured for its crunchy texture, which is balanced with soft kombu and squid. Finally, on the far right is salmon jerky. This dish is new to the menu and will be on it for a while. The cocktail program here is strong with many original cocktails, featuring seasonal touches, or try one of the Japanese whiskies, which are getting a lot of press for beating out their Scotch peers. The Mandarin Bar is on the 37th floor of the Mandarin Oriental Tokyo. No cover charge. 11:30 a.m. – 2 a.m.
We eat with our chopsticks two, sometimes three times a day. Having a pair that you really love to eat with makes each meal all the more fun. There are so many factors to consider when selecting chopsticks. The size of your hands will determine the length. The tips can be fine or thick. The chopsticks can be round or beveled. The material can range from a simple bamboo to several layers of lacquer that are polished away to show off the colorful layers. 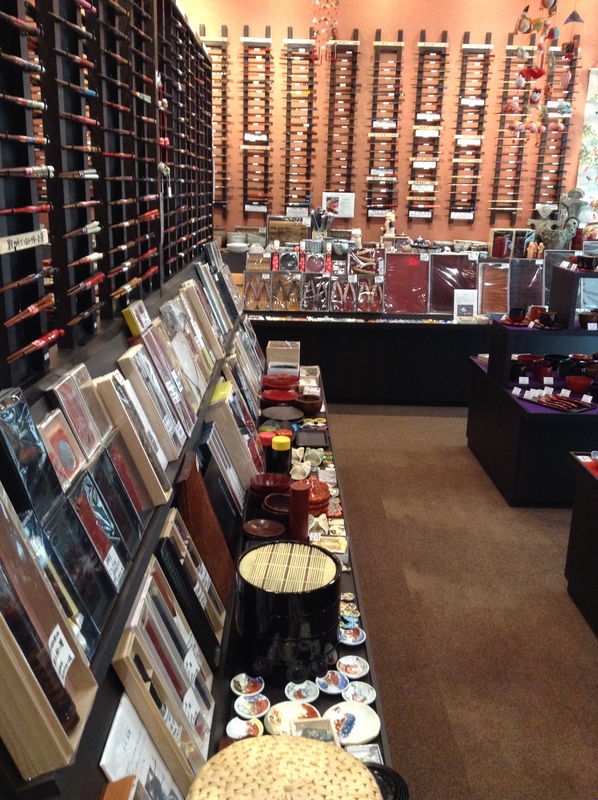 One of my favorite shops is Ginza Natsuno as the selection may be the greatest in Tokyo. 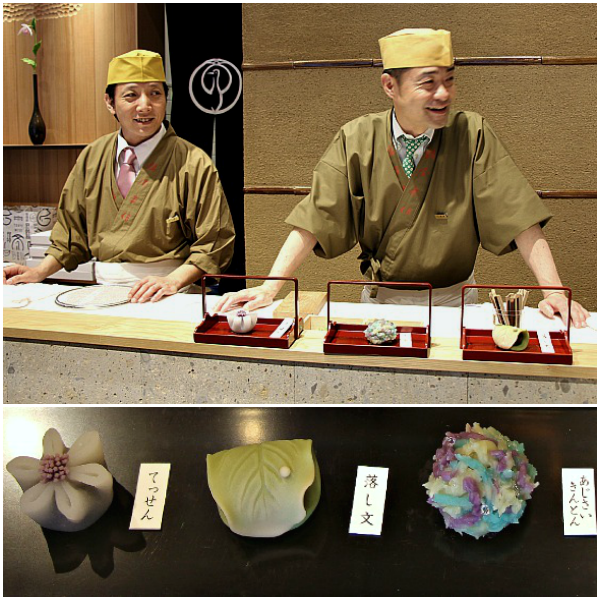 Another shop worth checking out is Hashichō in the new Nihonbashi Coredo Building #3. It is a sister shop to Natsuno. 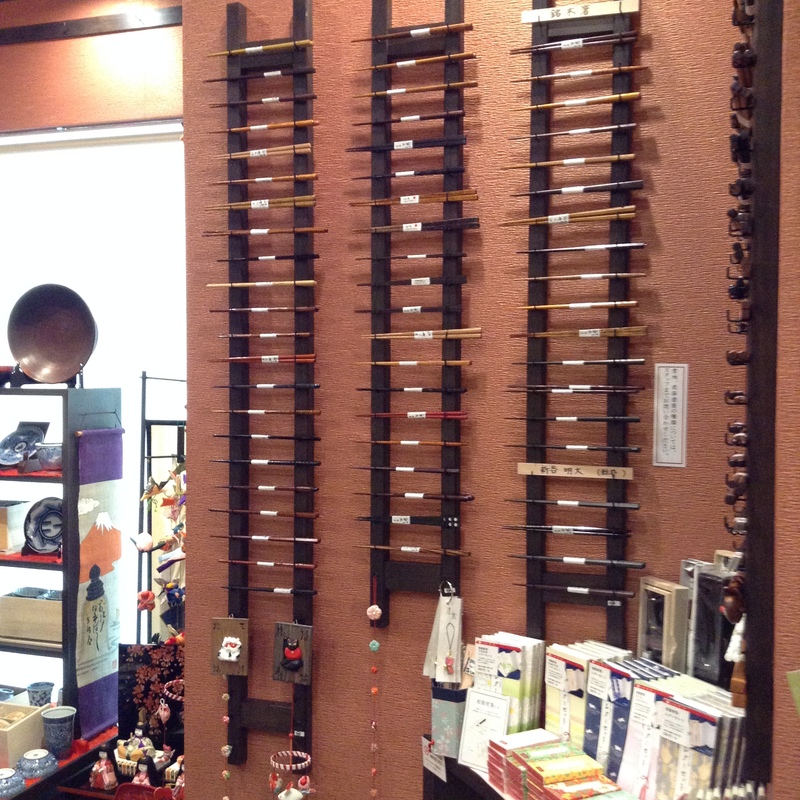 Here you will find not only chopsticks, but also hashioki (chopstick rests) and other tableware items. There is also a shop in Roppongi at Midtown (Roppongi 9-7-4) in the Galleria 3rd floor. Spring is my favorite time of year for tempura as sansai, mountain vegetables, are featured at good restaurants serving tempura. At the top of this box is udo (spikenard), which reminds me of a tender and somewhat bitter white asparagus. 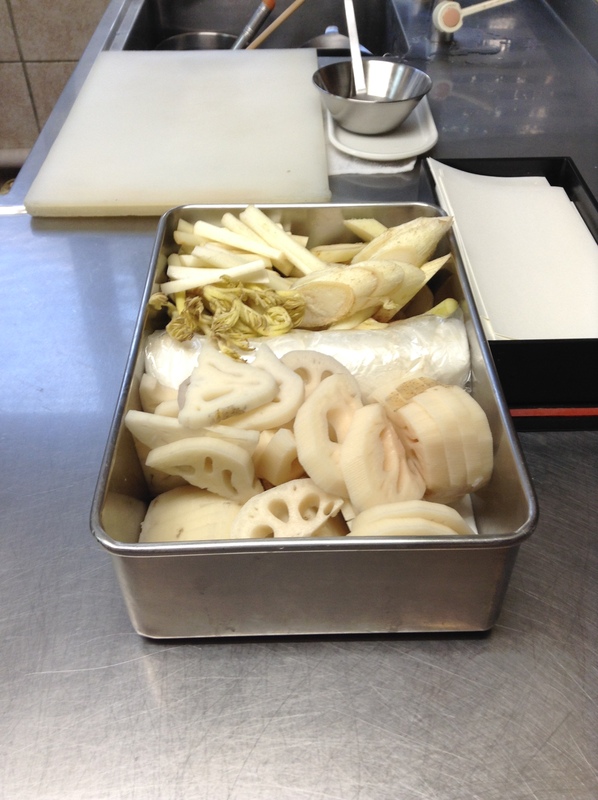 The other vegetable is renkon (lotus root). Tenmatsu at Nihonbashi bridge, just between Nihonbashi and Mitsukoshi-Mae stations on the Ginza line, has long been a favorite spot of mine. I used to work at Takashimaya which is just a five-minute walk from here and would sometimes come for a solo lunch. The lunch here is a great bargain at under 1,000 JPY for tempura that is made and served to you piece-by-piece as it comes out of the oil. Here you see the chef’s work spot. Some flour that the ingredients are dipped in before being covered with an egg, flour, and water batter before being deep-fried. Here is the udo to start off the meal. At home we blanch udo and then dress it with mayonnaise. But tempura is probably the best way to enjoy it. This is a special technique when putting in items to the hot oil, to gently toss away from you into the hot oil. Part of the joy of sitting at the counter at a tempura restaurant is listening to the oil as it sputters. 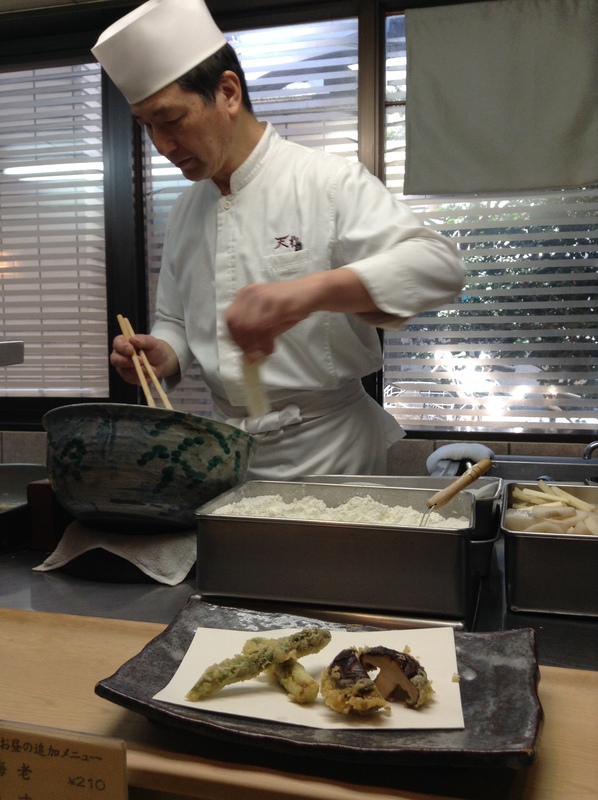 A good tempura chef will know when items are ready to be pulled out of the oil by the sound it makes when it is done frying. On the plate is asparagus and shiitake. My friend got two pieces of shrimp for this course. 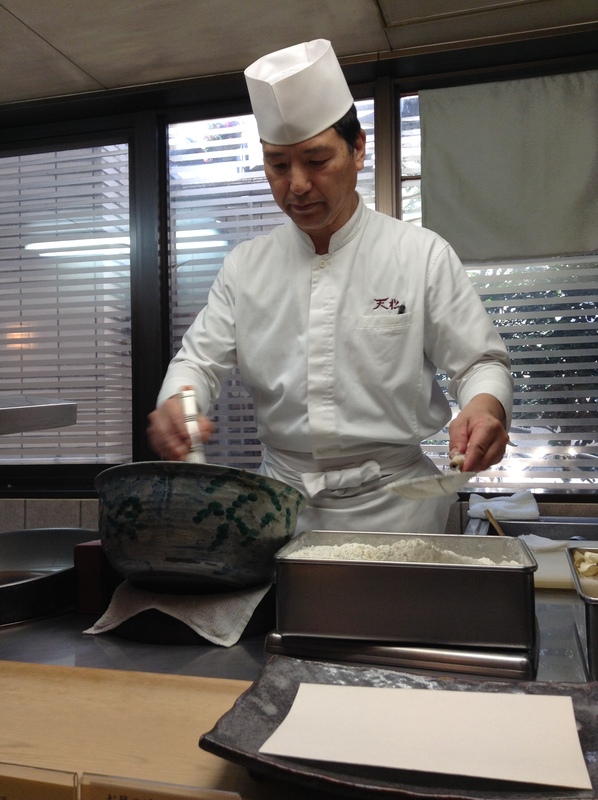 In the large round bowl is the chef’s batter mixture. He also uses two different chopsticks. A wooden pair for the flour and batter and then a metal pair for working in the oil. Tenmatsu is in my book, Food Sake Tokyo. The chef in this photo is the same chef that is in my book. It is quite busy at lunch time so either go early or late. Be sure to request a seat at the counters on the 1st or 2nd floor. 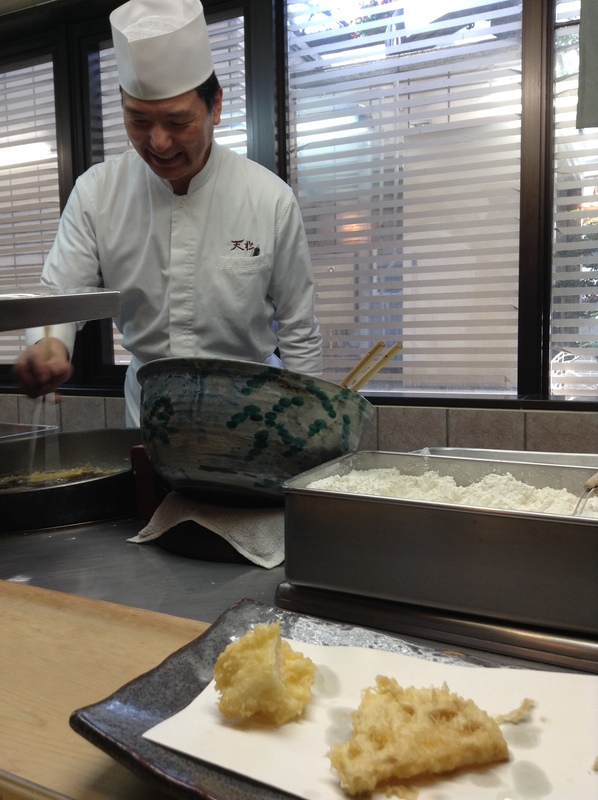 The 3rd floor is tables only and you miss out on watching the chef prepare the tempura in front of you. They are open on Sundays and holidays which is good to keep in mind as most shops in this area are closed on these days. The main shop is in Shibuya. Note that at lunch time there is a vegetable only tempura set lunch.